"So much for AT&T's grandfathered unlimited data plans.Confirming a report in 9to5Mac yesterday, the carrier said Friday that it will soon throttle its heaviest data users as part of an effort to alleviate congestion on its network." Starting October 1st, if you hit the magic top 5% of data users, your speed will be throttled back until the next billing cycle, as a punishment for being a data hog, even if you are on the unlimited plan. If I was an unlimited user and they did this, I certainly wouldn't be happy about it. I guess you still can get all the data you want, but it would be at a slower speed. I would like to know what "extraordinary usage" is defined as by AT&T though, as that is the trigger point to get to the top 5%. It is certainly a worthless phrase if I can't quantify it, but they say they will give you a heads up before it happens so you can adjust usage during a grace period. 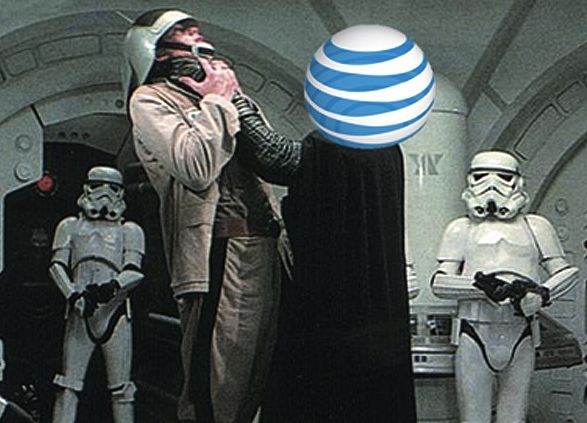 What are your thoughts on this change by AT&T?